Monday: The Department of Commerce reported that overall construction spending increased by 0.50 percent in May to a seasonally adjusted annual rate of $874.9 billion. Residential construction grew by 1.20 percent, and May 2012 construction spending was 5.40 percent higher than in May 2012. More spending in residential construction can indicate builder confidence in housing markets; added construction could help ease low inventories of available homes. Tuesday: CoreLogic reported that May national home prices increased by 12.20 percent over May 2012, and grew by 2.60 percent in May including sales of distressed properties. Excluding distressed properties, home sales rose by 2.30 percent in May for a year-over-year increase of 11.60 percent. States hardest hit in the economic downturn are showing good recovery; Nevada home prices rose by 26 percent year-over-year. While double-digit increases in home prices are good news, economists note that home prices remain approximately 20 percent below their peak in 2006. Wednesday: ADP reported that 188,000 private-sector jobs were added in June for the highest increase in four months. This number surpassed expectations of 160,000 new jobs and May’s revised figure of 134,000 jobs added. Freddie Mac’s mortgage rates survey had some good news as average rates for a 30-year fixed rate mortgage fell from 4.46 percent to 4.29 percent with discount points also falling from 0.80 to 0.70 percent. Average rates for a 15-year mortgage fell from 3.50 percent to 3.39 percent, with discount points moving from 0.80 percent to 0.70percent. Friday: The Labor Department released Non-farm Payrolls and the national Unemployment Rate for June. Non-farm matched May’s level of 195,000 jobs added, which surpassed expectations of 155,000 jobs added. The unemployment rate remains at 7.60 percent, just over expectations of 7.50 percent. The Federal Reserve has cited a benchmark unemployment rate of 6.50 percent as a criterion for raising the federal funds rate and reducing its current quantitative easing policy; this news may help slow mortgage rates as the Fed isn’t likely to modify its programs based on the current unemployment rate. 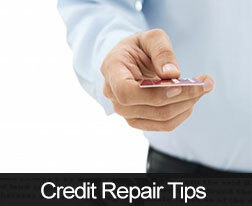 This week’s economic news includes today’s report on consumer credit. Tuesday brings Job Openings for May, and Wednesday brings the minutes from the recent FOMC meeting. The minutes should clarify exactly what the committee discussed concerning quantitative easing and their plans for modifying it. Thursday, Freddie Mac will release weekly mortgage rates. The federal government will release weekly jobless claims and will update the federal budget. The week’s economic news will conclude with release of the Producer Price Index (PPI) and Core PPI for June, along with Consumer Sentiment for July. Today’s artificial grass is made out of polypropylene, nylon, or polyethylene threads that are sewn into a mesh backing that allows for water drainage. This is then usually laid on top of compacted gravel and tied down at the perimeter. Modern artificial lawns can mimic many varietals of grass and some even have a thatch layer to give it a more realistic look. 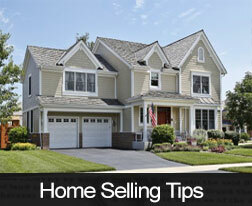 Want to sell your home this summer? With the help of a real estate professional, you could be signing a closing agreement and on your way to a whole new housing world before winter sets in. So, get inspired this Fourth of July to liberate yourself from your current home. A local real estate agent who is an expert in his or her field might be the spark needed to get you motivated, strategically market your home and have potential buyers seeing fireworks at your first open house. What do you know about the local market? Make sure your agent is up to date on the area’s current listings. He or she needs to know what’s happening in your neighborhood in order to market it and ensure it beats out the competition. Make sure you’re on the same page when it comes to spreading the word about your property. You’ll want to confirm that your agent is Internet savvy and has fresh ideas on how to make your home stand out. It’s always a good idea to ask agents you’re interviewing to provide examples of how they’ve marketed other homes. What will you do to help me prepare my home for sale? Successful agents should do a walk-through with you and use their past experience and buyer feedback to give advice on how to stage your home. It benefits both of you to have your home looking its best, so that it sells fast! In honor of the Fourth of July, take a cue from our forefathers and enlist the services of a good real estate agent to help emancipate you from your current home. If you’re looking for a real estate professional, I’d appreciate the opportunity help you. Give me a call today or email me to get all of your questions answered. 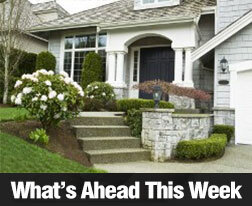 The past week was active for economic news and mortgage rates. The aftermath of the Fed’s indication that it may start dialing back its multi-billion dollar monthly purchases of Treasury and mortgage backed securities has sent mortgage rates to record highs. If you’re thinking of buying a home, this may be the last chance for finding the best deal on mortgage rates; meanwhile, home prices continue trending up as well. Tuesday’s Case-Shiller Composite Indices for April demonstrate the momentum of recovery in many housing markets. 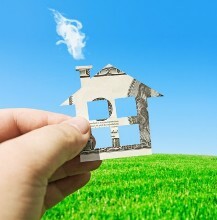 As of April, national home prices had increased by 12.10 percent as compared to April 2012. April’s reading also exceeded March’s reading of 10.10 percent year-over-year. FHFA released its home prices report for April and noted that the average price for homes with mortgages owned by Fannie Mae or Freddie Mac increased by 7.40 percent, which slightly surpassed the March reading of 7.20 percent. The Department of Commerce released New Home Sales for May and reported 476,000 new homes sold on a seasonally-adjusted annual basis. This exceeded expectations of 453,000 new home sales and also surpassed April’s reading of 454,000 new homes sold. Wednesday brought the Gross Domestic Product (GDP) report for the first quarter of 2013. The GDP grew by 1.80 percent against expectations of 2.40 percent and the previous quarter’s growth, also 2.40 percent. Freddie Mac’s Primary Mortgage Market Survey (PMMS) brought the days of bargain basement mortgage rates to a halt as average mortgage rates for a 30-year fixed rate mortgage moved from last week’s 3.93 percent to 4.46 percent. Average rates for a 15-year fixed rate mortgage rose from 3.04 percent 3.50 percent. This was the largest weekly jump in mortgage rates in 26 years. Home buyers may also consider a 5/1 adjustable rate mortgage, which provides an average 5 year fixed rate of 2.74 percent. 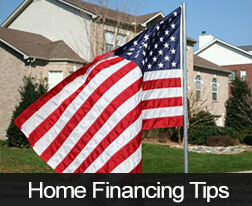 The fixed mortgage rate converts to an adjustable rate after five years. The National Association of REALTORS ® reported that Pending Home Sales in May rose by +6.70 percent to their highest level in 6 years. Last week ended on a positive note with the Consumer Sentiment Index for June beating expectations of 83.0 and coming in at 84.1. 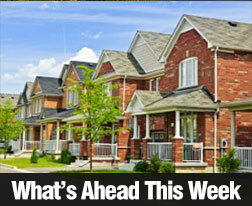 May’s reading was 82.1; higher consumer confidence is likely driving demand for available homes. Next week’s scheduled economic news includes Construction Spending due on Monday and the ADP private sector jobs report is set for Wednesday. Thursday the financial markets are closed as we celebrate the July 4th holiday. Friday brings the Department of Labor’s Non-farm Payrolls Report and the National Unemployment Rate. If the unemployment rate stays steady at 7.60 percent, this may reduce fears that the Fed will start reducing its monetary easing program any time soon, which should help to slow the recent increases in mortgage rates.